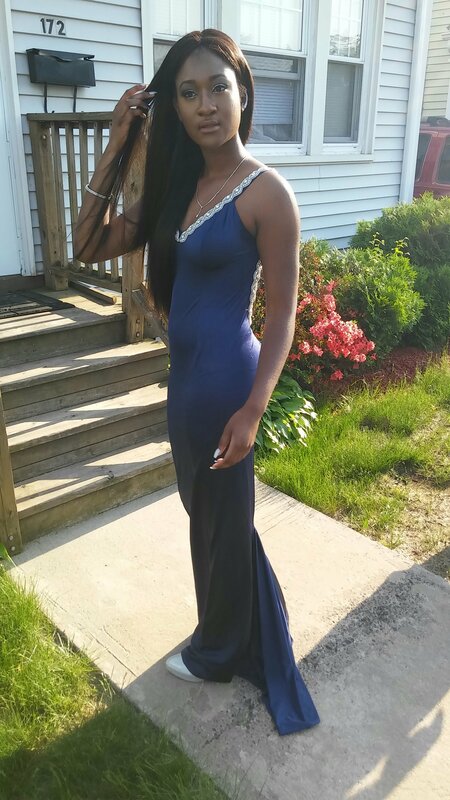 Custom made prom gown crafted by Riquee. Simple and elegant. 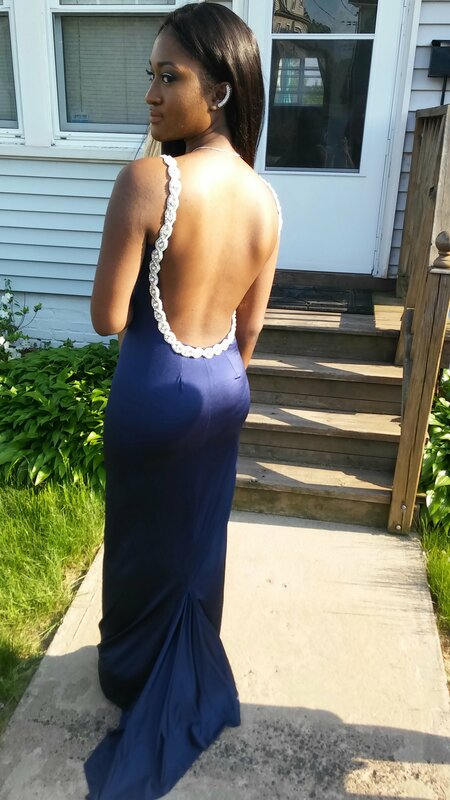 Kenejah worked this dress. She knew what she wanted and she chose a beautiful blue blend for the gown.